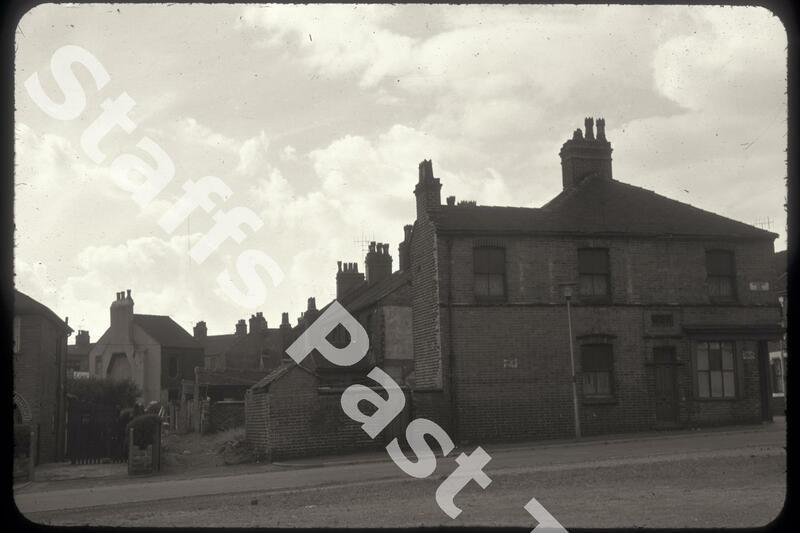 Description:The photograph shows the rear of properties on Keelings Road taken from Northwood Park Road (formerly Queen's Road). The houses date from the last years of the 19th Century. The building on the corner was, in 1911, Shaw's tobacconists. 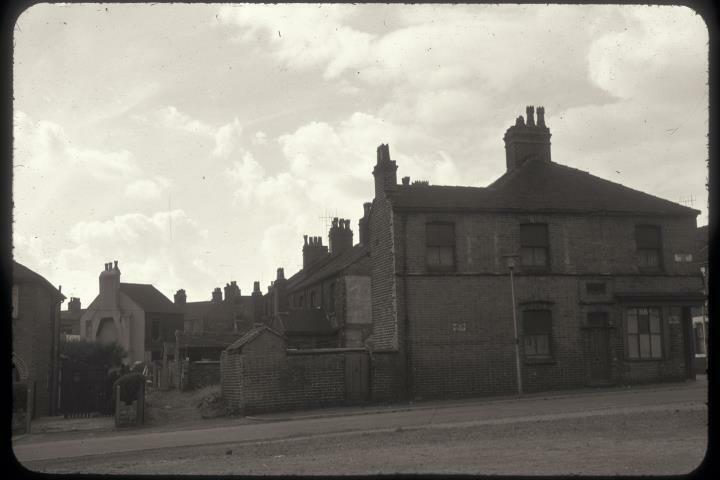 In 1963 all where scheduled for demolition and have been replaced with bungalows.